Mr. 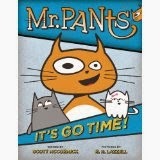 Pants: It's Go Time! by Scott McCormick. Dial, 2014, 128 pages.